Get the best view of the complex as you zip along over the top. Experience the thrill of flying across Penny Royal on our fast and scenic Zips! A thrilling ride not for the faint-hearted. Then make your way across a dozen rope bridges suspended above the Penny Royal on the cliff walk. 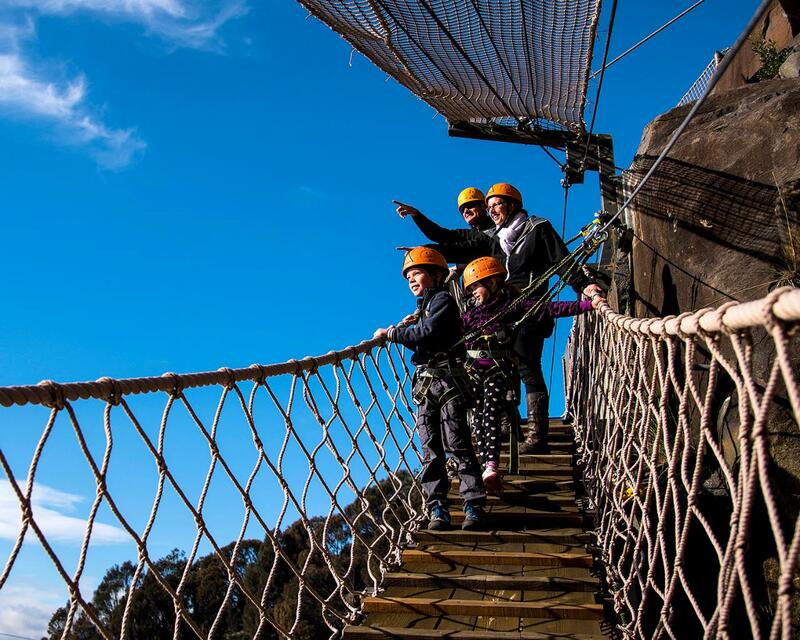 Harness up and take in the magnificent views of Launceston on this unique adventure that can be enjoyed by the whole family. The Ziplines + Cliff Walk runs on * HOURLY SESSIONS * and takes up to 1 hour to complete. Waiver form must be signed by someone over the age of 18 years for any participants. Please arrive 15 minutes prior to your booking to collect ticket. Late arrival to a session may not be accepted. Refunds not given for change of mind. It is your responsibility to ensure you meet the requirements prior to booking.